There’s a feeling I get in the pit of my stomach every August. A mix of sadness that summer is coming to an end (boo-hoo) and an eagerness that kids are returning back to school and routine and activities (woo-hoo!). Do it the night before: And by “it,” I mean everything you possibly can. Have kids pack their backpacks and place them by the door. Pack lunches and place them in the fridge overnight. Fill water bottles, and find shoes and socks. There is ALWAYS more time in the evening than there is in the morning. The more you or your child prepares ahead of time, the easier your mornings will be. 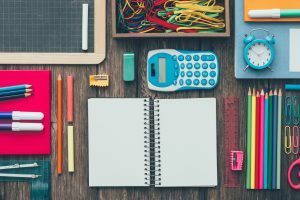 Create a homework station: Spend a little time before school starts stocking a homework station with necessary supplies (e.g. markers, glue sticks, ruler, calculator, etc). Use a caddy so tools are portable if your dinner table doubles as a homework station. Avoid late night runs to the office supply store by checking inventory often. Set up an “important paper” landing pad: The first few weeks of school usually means paper, paper and more paper. There are forms and permission slips and PTA signups and school photo forms. It just keeps coming. 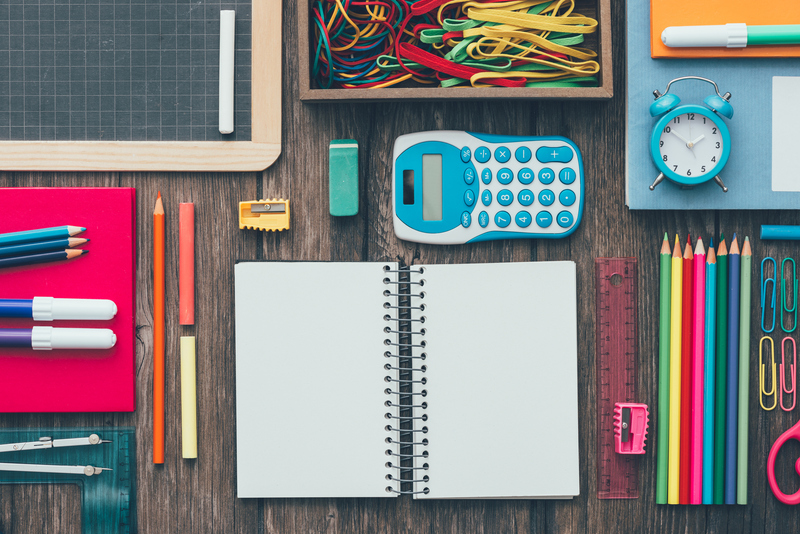 Teach your children from an early age to remove important papers from their backpack or daily folder each day and place them in the landing pad (you’ll need to model this for them when they’re young). This will keep important events from slipping through the cracks. Simplify lunch/snack packing: Use bins in your pantry and refrigerator to stock grab-and-go food for lunch and snacks. You can also set up an after school snack bin in a reachable spot where kids can re-energize after a long day hitting the books. Encourage independence by labeling these bins and letting kids help themselves. Create a family binder: While much of our life and our schedules are now online, there is still some go-to reference paper we need to keep around. Use a 3-ring binder and clear binder sheets to organize paper you reference on a regular basis throughout the school year such as classroom lists and contact information, sports schedules, library hours and school calendars. When activities roll over, be sure to remove and recycle the old schedules and replace with new ones. Get ready to sharpen your No. 2’s, enjoy those fresh pages in your composition books, and zip up your backpacks. Happy back to school season, and keep neat!